Acadiana Treatment Center is recognized as a premier and leading treatment provider offering quality Chemical Dependency Treatment in the Lafayette, Louisiana area. The facility provides a compassionate and nurturing environment for men and women faced with the challenges of alcoholism and drug dependencies. 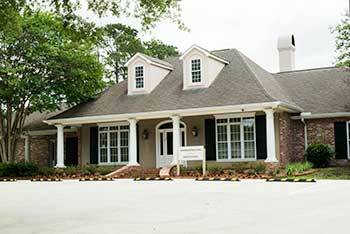 The Belle of the Oaks is an established female extended care living program. It is a private, eight-bed residence located along the serene Vermilion River. A comfortable log cabin with a large dining/living area, kitchen and laundry room, The Belle of the Oaks and its grounds are shaded by magnificent oaks. Women are cared for and eased back into society in a safe, nurturing environment. This environment offers strong peer support and the guidance of our professional staff in a sober living environment, helping each client grow and overcome her addiction and continue to improve her quality of life.